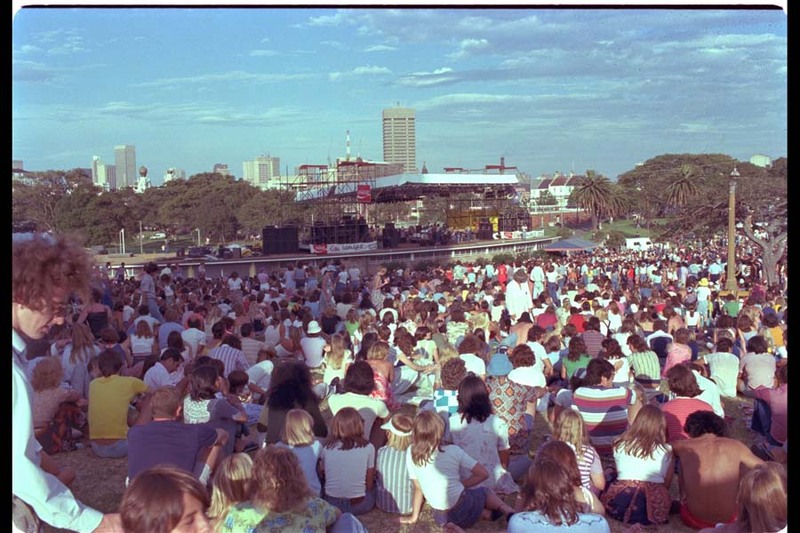 During the 1970s, radio station 2SM staged a series of free concerts in Sydney. 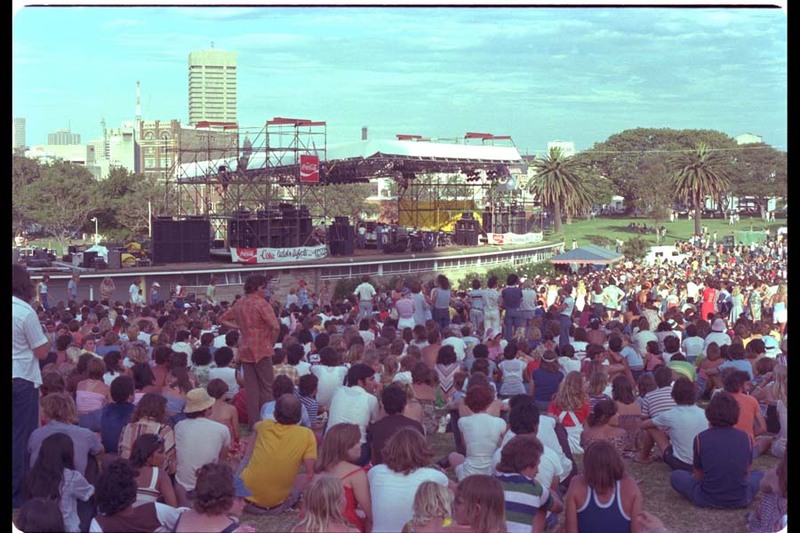 The February 1979 concert turned out to be its last at Victoria Park and featured Dragon, The Angels, Split Enz, Kevin Borich and Sports. 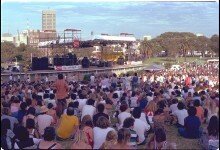 Sydney City Council subsequently banned outdoor shows there following complaints about crowd behaviour and damage to the park. 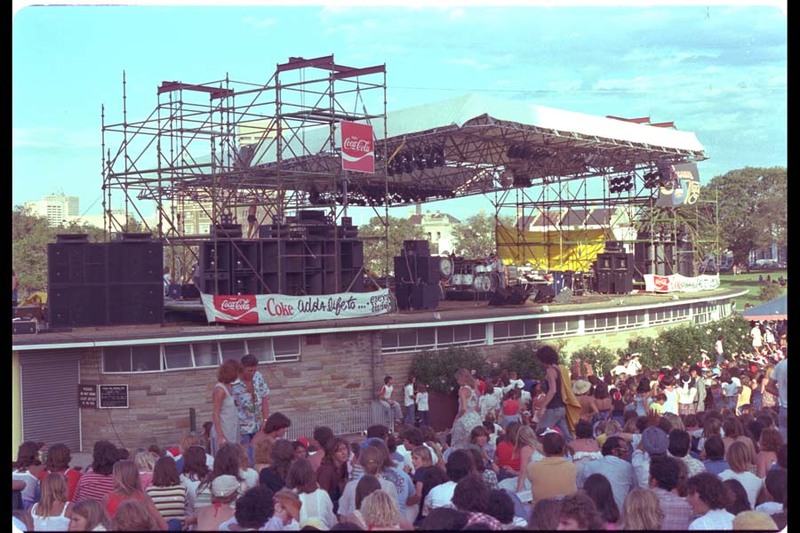 Jands sound system included both 4-way and Concord speaker cabinets. 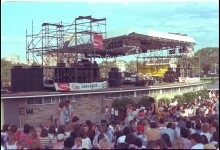 Jands also supplied lighting and the outdoor roof for the concert. ABN2 Sydney ABC ‘The Way We Are’ December 1979 program. 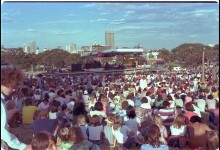 Includes brief clip by Australian rock band The Angels performing live at the February 18 1979 2SM Victoria Park free concert. I was at that concert as a kid. It was pure gold for a 12 yo boy. I recall we got there at about 8.30 am and sat up the front all day, there were not many people there at 8.30, they turned up soon after though and the place was packed. Great day and I remember the sound too, it was the goods. 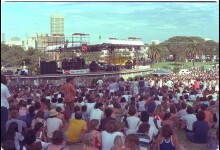 I have a bottleg video of the infamous Sydney concert New Years Eve 1980 when Doc neeson was knocked out by a flying can. Unfortunely the sound for this concert was poor. Feedback through much of the set. Maybe not Jands crowning moment. I was there, probably near the Desk. We always followed the mix. Had followed the rest of the bands around but that was the first time I had seen Enz outside of countdown. They rocked. An amazing day- Borich, The Angels . Dragon and Split Enz ripping the place apart with I See Red! I clearly remember that summer and that day. I went with my best friend and when my straw hat got blown into the harbour near the Man o War steps, we were both stunned when a young lad swam out and retrieved it for me! I was a thirteen year old brat and it was the best time of my life. Now HERE”S a memory. At that concert somebody ( probably Dragon) were late so a member of the audience( could have been a roadie) got up and played/sang a few songs to fill in time until they came?? 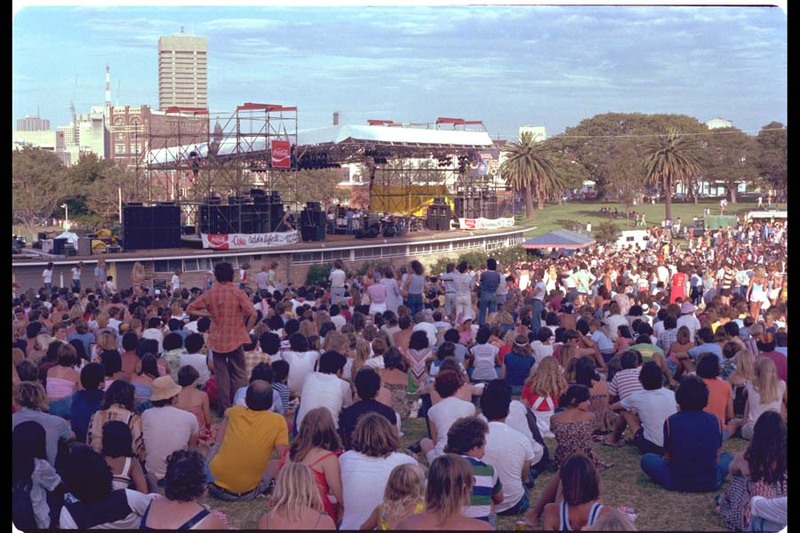 dragon …split enz …the angels …kbe…do I recall mr swan as well?…a host of others…dragon and are you old enough…split enz and I see red….the doc climbing …I was 14…first concert thanks Robert Heffernan wherever you are up or down there …and oh..Deanne too lol what a day. I do remember Doc Climbing on the scaffolding.And I do remember beer cans being hurled at the guys sitting on the light poles. TIN CANS. I was there, iwould have been 11 or 12 years old. Split enz in their colorful suits. I was right next to the pole some guy climbed up with a moove flavored milk carton, then afterwards on tv the add, move it baby move it the commercial. Great concert (they were the good old days).